RC2 is designed to expand yourself as a relationship coach who can work with couples and become a “trauma informed” relationship coach. Our goal is to empower you in all 4 of these. However, given our time, we will spend most of our time helping you learn how to work with couples effectively. The first requirement for RC2 Level is to have successfully graduated from RC1. To aspire to this advanced level of certification you must be fully committed investing yourself to develop your capacity to deal with more challenging clients and issues. This training will build off RC1 and feel like a natural progression. You will be challenged beyond your current competencies and you might feel like a beginner again, especially when you get to couples or the 180. However, you will indeed graduate with a whole new level of confidence in the coaching seat. To qualify and be accepted into the RC2 advanced Level you must apply as per the process provided below. Your RC1 graduation does qualify you, but to be accepted you must go through the application process. We want students in this program who are committed to increasing their self-value/worth. Why? Because at the end of the day that’s what you are teaching others to do. And if you can’t value yourself, it’s going to be hard to show someone else how to do it. 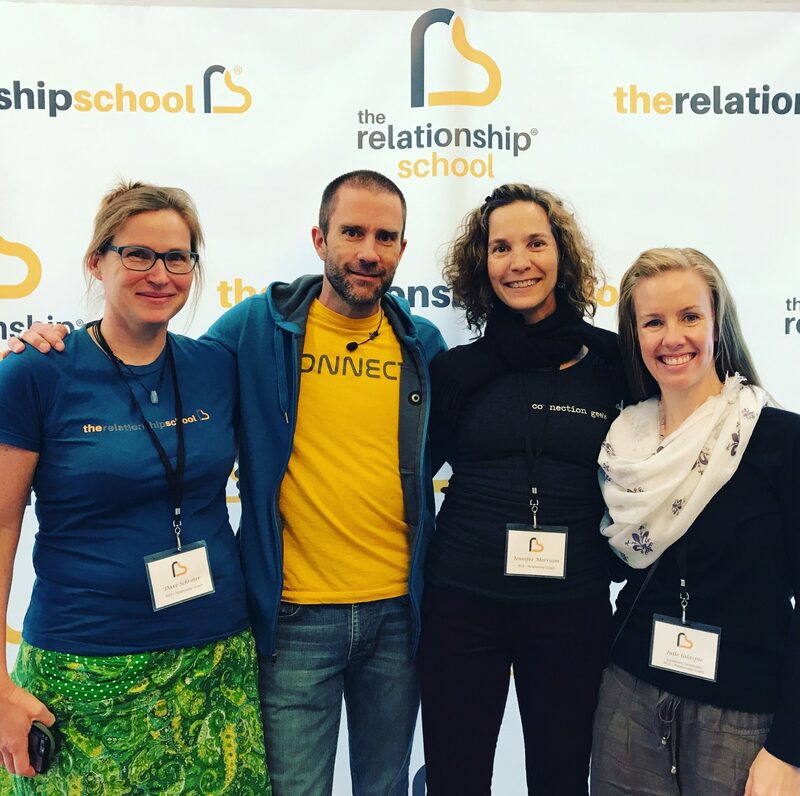 The Relationship School RC2 Level Application. Pass a warrior exam by June 1 where you share of your knowledge of the principles, objectives, and understanding of relationship coaching through a live video for review and feedback. Record a 2-minute video as to why you want to keep sharpening your coaching chops. Send it to Jayson by June 1 at midnight. Once selected eligible students must formally confirm by June 5th 2019 with a deposit of $1000. This deposit is non-refundable. We will meet 2x per month on Thursdays from 11am MT-12:30pm MT. Classes will be led by Jayson and level 3 students with some guest teaching done by Ellen. This goes on monthly until end of June of 2019. You will also be expected to review your videos with a level 3 student (RC2 certified supervisor). Bonus classes: You also can jump in RC1, DPIR classes and live weekends to keep learning. Additional supervision provided by RC3 students is at their fee outside of class time. Attend an Embracing Conflict weekend (counts as 20 hours of training) and volunteer to teach, coach, help out, etc.